Danny Shine is jinxed. He made one accidental catch at the baseball game and now the whole school hates him. The Roller Coaster at the school fair breaks down while he’s riding and the everyone thinks he’s a jinx. Danny knows he’s made top of the loser list when the school bullies offer to protect him from the rest of the school, for a price of course. The more Danny tries to break the jinx curse, the more trouble he causes. Just when he thinks he has hit rock bottom, Danny is partnered with popular baseball captain, Luke, for speeches. Luke has a fear of public speaking and Danny knows he’ll have to coach Luke through this for a win or he may as well change schools. 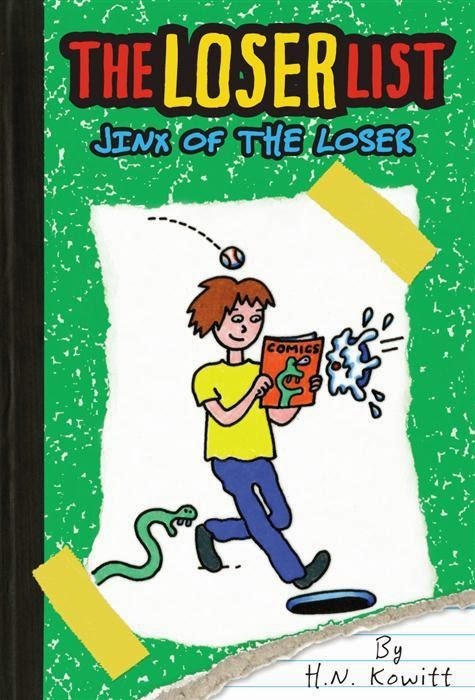 Jinx of the Loser is a humorous look at the middle school from the unpopular side of the fence. The illustrations and handwritten text give it a more personal feel and it is similar in tone to the Wimpy Kid Diaries just for younger audiences and without the family emphasis. Aimed at grades three to six, it is a light read for beginner readers, and will be mostly enjoyed by boys.